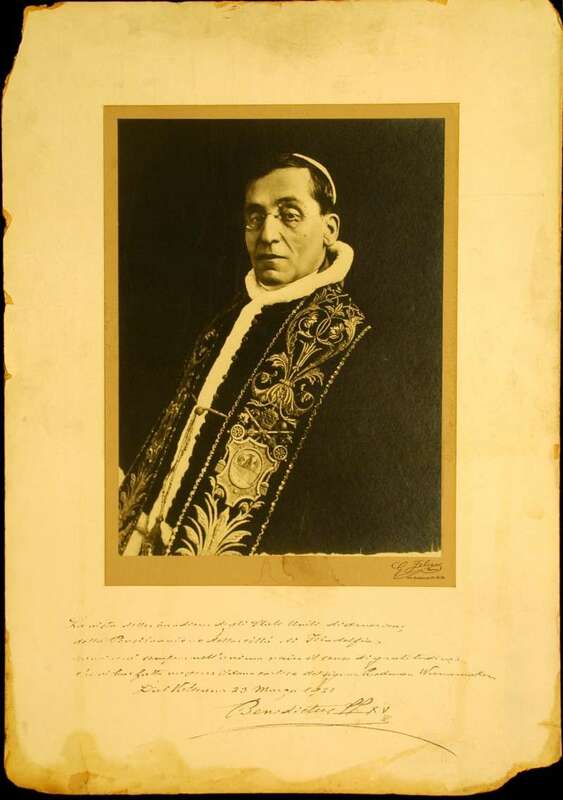 This large, signed photo blessing of Pope Benedict XV is one of several artifacts belonging to or associated with the Pope featured on Papal Artifacts/Benedict XV. Several other items are featured below, but are just some of many you may view. 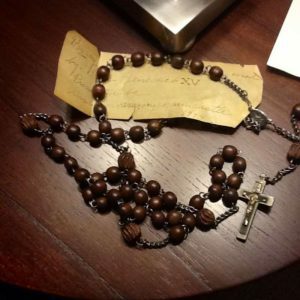 Papal Artifacts honors the memory and gift to our Church of Pope Benedict XV, a man whom Benedict XVI honored in 2005 by taking his name. 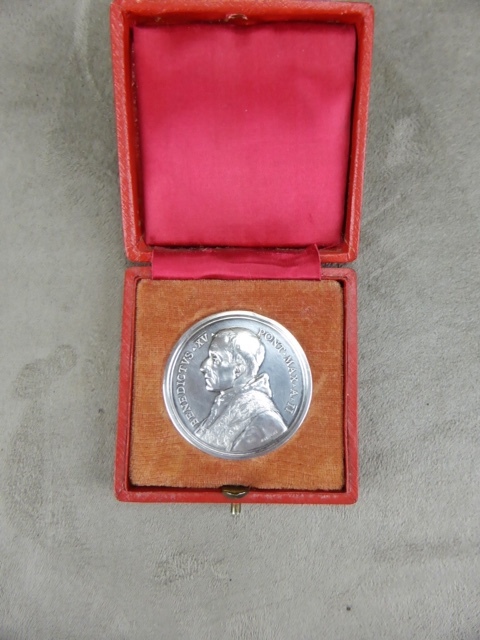 In September of 1915, Pope Benedict XV was the only sovereign to publicly intervene in favor of the Armenians. He sent a letter to Sultan Mohammed V in which he highlighted the seriousness of the massacres and asked, in vain, for them to stop. 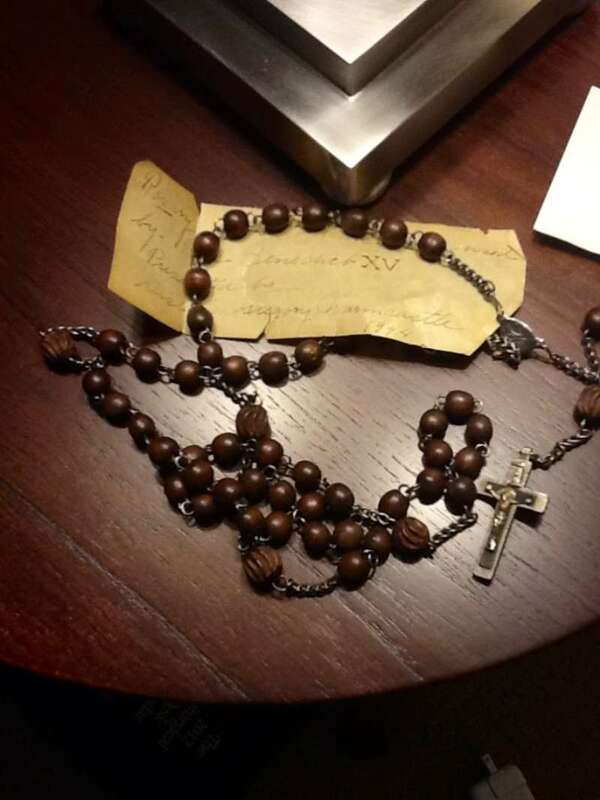 According to the Vatican’s files, other letters would follow with the same results. Giacomo della Chiesa was born in Genoa in 1854, the sixth child of an old aristocratic family with familial ties to popes in the distant past. His desire to become a priest was initially thwarted by his father who insisted he study civil law. 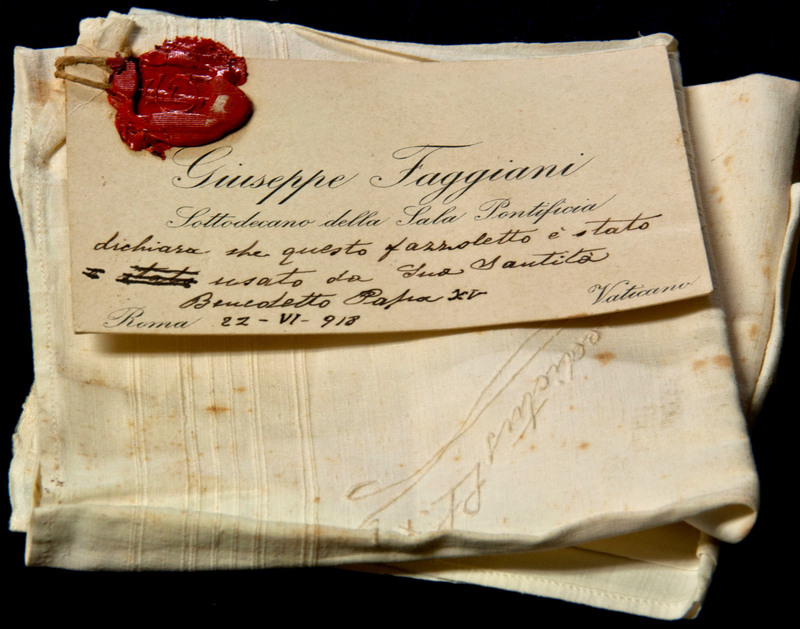 In 1875 he received a doctorate in law from Genoa University. He was twenty-one years of age. At this point he again asked for and was given his father’s reluctant blessing to study for the priesthood. He attended Capranica College in Rome and the Gregorian University where he received additional doctorates in theology and canon law. Della Chiesa was ordained in December 1878. What followed were four years of training for the papal diplomatic service at the Academy for Nobles. In 1883 he became the secretary to Mariano Rampolla, nuncio to Spain. He had caught the eye of the nuncio while still a student and now assisted him in diplomatic ventures as diverse as the successful mediation between Germany and Spain of the Caroline Islands, and the organization of relief efforts during a cholera epidemic. Della Chiesa’s career followed the soon-to-be Cardinal Rampolla’s who became Leo XIII’s Secretary of State and the architect of the Pope’s foreign policy. Della Chiesa not only served as under-secretary during Leo’s reign but continued in that role under Pius X’s Secretary of State, Merry del Val in 1903. However, Pius X’s papacy was in stark contrast to his predecessor’s. 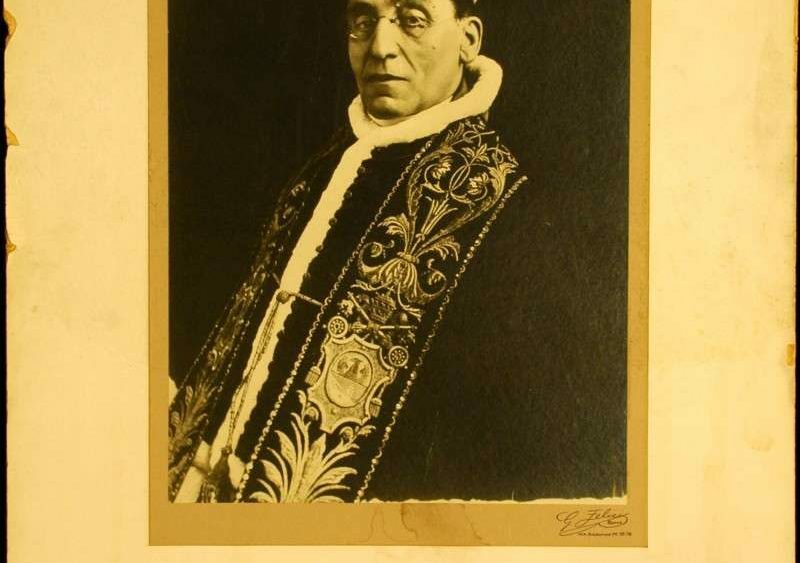 In 1907, Pius consecrated della Chiesa archbishop of Bologna. 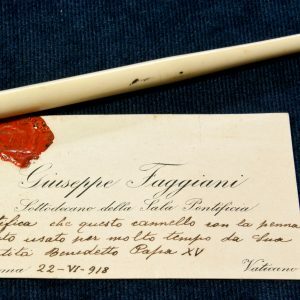 Although he gave the new archbishop his own episcopal ring and crosier at this time, Bologna was seen as a place of exile and an attempt to thwart della Chiesa’s advancement because he did not agree with Pius’ retrograde policies. The new bishop had no previous pastoral experience but took on the tasks of a diocese with 700,000 people and 750 priests, nearly 100 religious institutes and a seminary. In the seven years he remained in Bologna he visited all the parishes, many on horseback. He was dedicated to his people and priests and believed preaching was his main obligation. 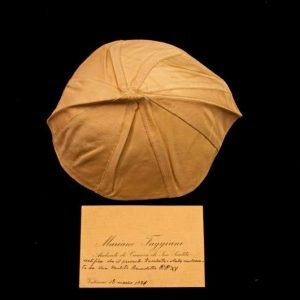 He also built and restored churches and reformed the education of seminarians by adding science and the classics to the curriculum. Della Chiesa was devoted to Mary and preached about her and organized pilgrimages to her shrines. Shortly after the death of Cardinal Rampolla, Pius X elevated della Chiesa to the cardinalate in May of 1914. Three months later, amidst the onset of The Great War, Pius X died of complications of pneumonia. Fifty-seven cardinals gathered in a conclave that took only three days and ten ballots to choose between the progressive policies of the diplomatic Pope Leo XIII and the renunciatory ones of Pius X. Knowing they would need an experienced diplomat to chart a course through this devastating era, they elected della Chiesa. 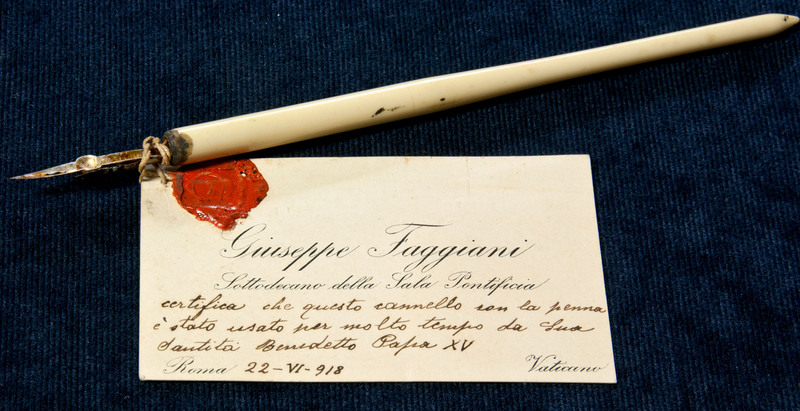 He chose the name Benedict XV in honor of another Bolognese bishop, Lambertini, who became Benedict XIV. He was fifty-nine years of age and would rule for only seven years. Initially there was some question about his physical health, since in the Curia he was referred to as the little one due to the effects of scoliosis and a very pale complexion. Within no time, however, the new pope was issuing detailed instructions that made it clear the direction the new papacy would take. Little pomp and festivity surrounded his coronation and small reception afterwards. Then, he calmly and assuredly began his pontificate. Just as he had charmed the Bolognese with his deep concern for their welfare, he now became known for his remarkable approach-ability. It was immediately clear that he had thought long and hard about how to avoid the approaching bloodbath. The Popes: Histories and Secrets, states, His strategy was to restore to the Church of Rome the credibility which Pius X had lost on a political and diplomatic level. 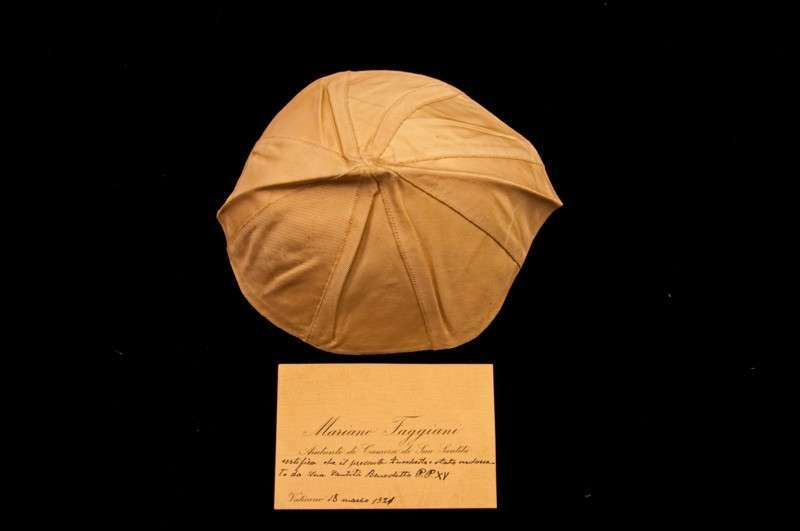 For Benedict XV, the terrain on which to rehabilitate it was the First World War. The Great Powers believed only in the usefulness of war. Benedict was unheeded by them and suffered many insults (at their hands). In many messages, beginning in September of 1914, he addressed the war, calling it a horrendous bloodbath which dishonors Europe, the suicide of civilized Europe, the darkest tragedy of human hatred and human madness, and a useless massacre. the moral force of right must be substituted for the material force of arms. 2. there must be simultaneous and reciprocal diminution of armaments. 3. a mechanism for international arbitration must be established. 4. true liberty and common rights over the seas should exist. 5. there should be a renunciation of war indemnities. 6. occupied territories should be evacuated. 7. there should be an examination of rival claims. Benedict also called for an end to conscription. Wikipedia states that although unsuccessful, his diplomatic efforts during the war contributed to an increase in papal prestige and served as a model in the 20th century. 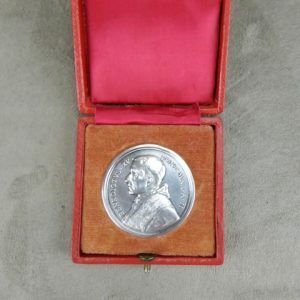 The efforts of Venerable Pius XII before and during WW II, the policies of Paul VI during the Vietnam War and the position of Blessed John Paul II before and during the War in Iraq found their origins in the wisdom of Benedict XV. Not only was his plan rejected but also he was allowed no part in the peace settlement of 1919. There was great mistrust about having him participate. Particularly Italy feared that Germany would insist that Rome be returned to the Holy See. When his efforts at peacemaking were rejected, Benedict turned all of his attention to humanitarian needs across the continent. One of his most significant contributions was the formation of a Vatican bureau to reunite prisoners of war with their families and to persuade Switzerland to receive 29,000 soldiers suffering from lung disease due to gas attacks. Literally tens of thousands of prisoners were exchanged because of his intervention. There were other contributions as well. They included individuals being spared the death penalty and the bodies of slain soldiers returned to their families. Wikipedia further states that by the end of the war the Bureau had processed some 600,000 items of correspondence on behalf of missing persons. 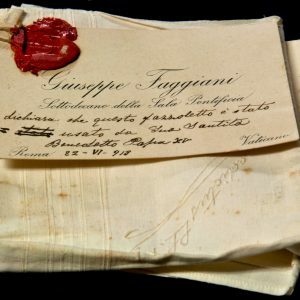 40,000 people had asked for help in the repatriation of sick POWs and 50,000 letters were sent from families to their loved ones who were prisoners through the intervention of the Vatican and Benedict’s leadership. In 1916 he appealed to the people and clergy of the United States to help him feed starving children in German-occupied Belgium. This aid was extended to children in Lithuania, Poland, Lebanon, Montenegro, Syria and Russia. 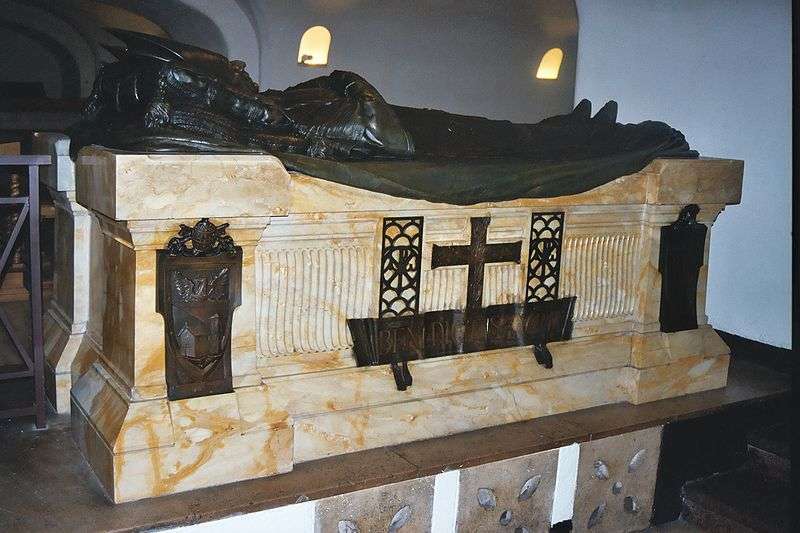 His efforts to aid Christian Armenians in 1915 during the genocide waged against them by the Ottoman Empire was not successful and over a million Armenians died. When the war ended, Benedict pleaded for reconciliation both in his encyclicals and in his deeds. He believed the peace treaties and the League of Nations were not founded on Christian principles and doubted they would succeed. Nevertheless he worked tirelessly with new nation-states that had been created, sending Achille Ratti (the future Pius XI) to Poland and Lithuania as Apostolic Visitor and Eugenio Pacelli (the future Pius XII) as nuncio to Germany. By 1922, twenty-seven countries, including Great Britain (for the first time since the 17th century) were diplomatically represented at the Vatican. 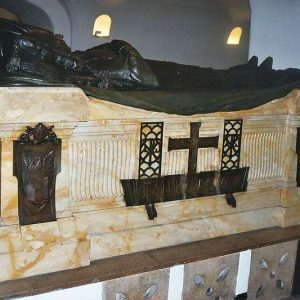 The seventeen-year breach in relations with France was now healed, helped by the 1920 canonization of St. Joan of Arc (1412 – 1431). When the Balfour Declaration of 1919 granted a Jewish homeland in Palestine, he was troubled about the threat to Catholic interests there. He laid the groundwork with Cardinal Gasparri, his Secretary of State, to settle the Roman Question which resulted in the 1929 Lateran Treaty. He made clear the Vatican’s readiness for an honorable settlement with Italy. Within the church, in 1917, Benedict issued the new code of canon law, written largely by his predecessor, Pius X. In 1914, in his first encyclical, Ad Beatissimi, in a spirit of reconciliation he called a halt to the bitter animosity between traditionalists and modernists which was the legacy of Pius X’s suppression of modernism. He thought the moment to reunify the churches of the East and West had come with the 1917 outbreak of the Russian revolution and he created the infrastructure to support that goal. Furthermore, he created an Oriental Institute for Eastern Catholic culture, theology and liturgy. Benedict was known as the pope of missions as he urged bishops to work for the formation of a native clergy and to seek the welfare of the native people rather than the imperialist interests of their own countries. In 1920 he issued an encyclical on peace and reconciliation. He continued to give financially and over eighty million lire were used for peasants and victims of famine in Russia. It is the duty of every person to run to help another human being who is in danger of death, he said. His ability to go beyond ideologies in the spirit of the Gospel stands as a living legacy to the good will and loving heart of this pope. Benedict died of complications from pneumonia in January of 1922. He is the least remembered pope of the twentieth century. In 2005, Benedict XVI recognized the significance of his long-ago predecessor’s commitment to peace by taking his name.